This is my hair in it’s most natural state! It’s feels like a soft cloud or a light pillow. COOOL right?! LOL I never see it like this. My usual routine is to wash, condition, then twist! Not today! @tarenguy ‘s “PERFECT Hair?… For What? 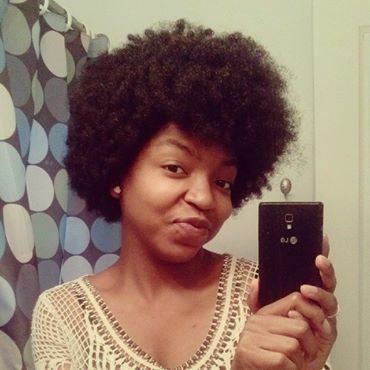 ?” Video inspired me to stop making the act of rocking natural hair so complex. I still love exploring different styles but I’m embracing my shrinkage and tightly coiled texture. You’d never know this hair stretches down my back. Lol I love it! Now I have to teach myself how to sculpt my fro! Feeling Free!